Some lovely spring characters in pastel gowns to create a garden of beauty. These Spring Forest Spirits come from the woods to awaken the flowers until the world blossoms with beauty. 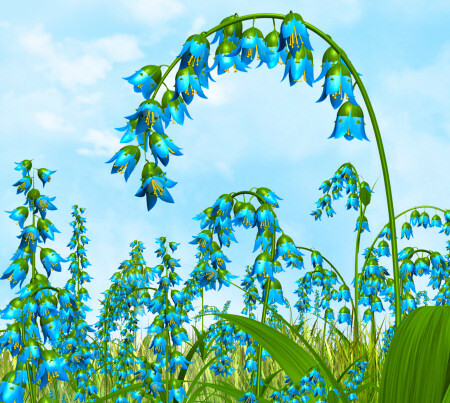 Spring Background Kit, lots of fairy flowers, plants, and other graphics to help you create a landscape where fairies dwell. This kit is magical. 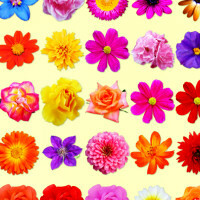 Spring Flower Garden Graphics, a huge collection of flowers for spring and summer designs. April Fairy Tubes. 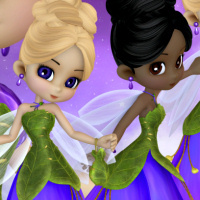 Bring the beauty of springtime to your artwork with these wonderful fairy graphics who have violet skirts. 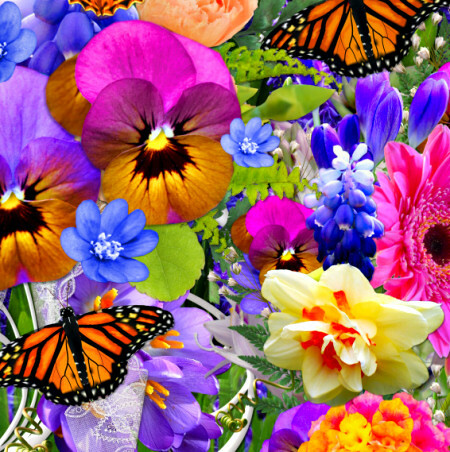 Springtime Flower Graphics, a digital garden at your fingertips. Lil Spring Fae Tubes to bring your designs some springtime sunshine. These joyous fae who wear blossom outfits, will lend your designs some sunny cheer. 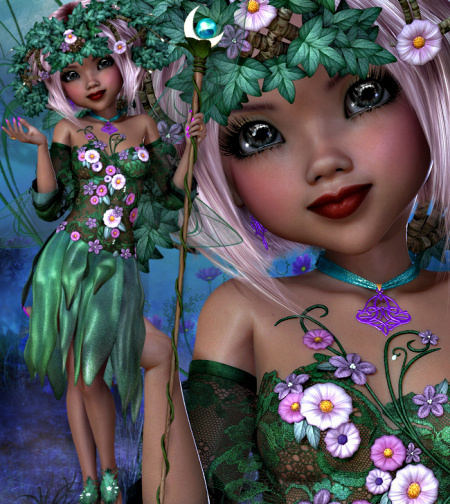 Springtime Star Graphics, a lovely character in a shimmering outfit. She will inspire you and make the creative project you have in mind shine like a star. 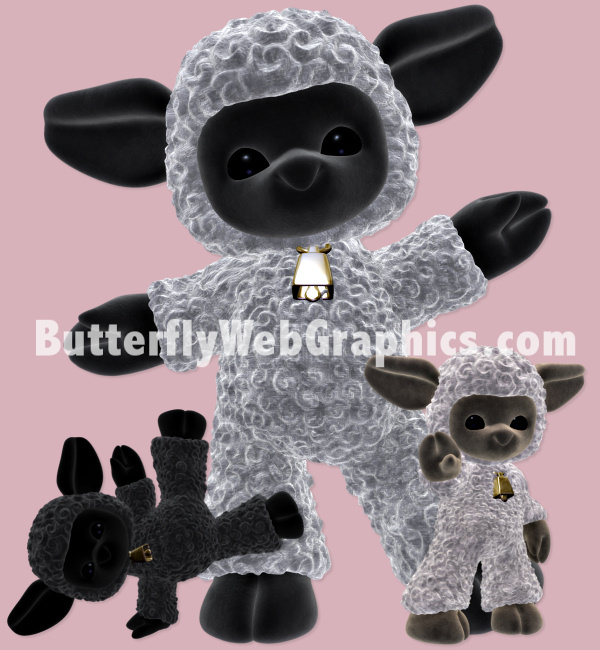 Lulubelle Lamb Tubes, adorable, plush lamb graphics in black, gray, and brown.